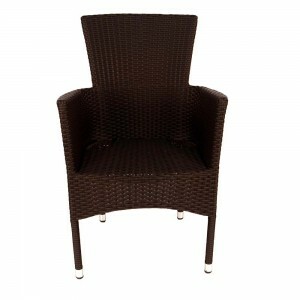 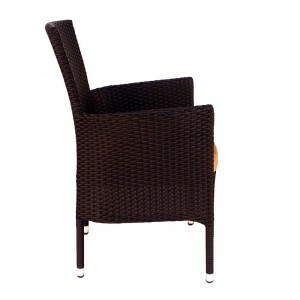 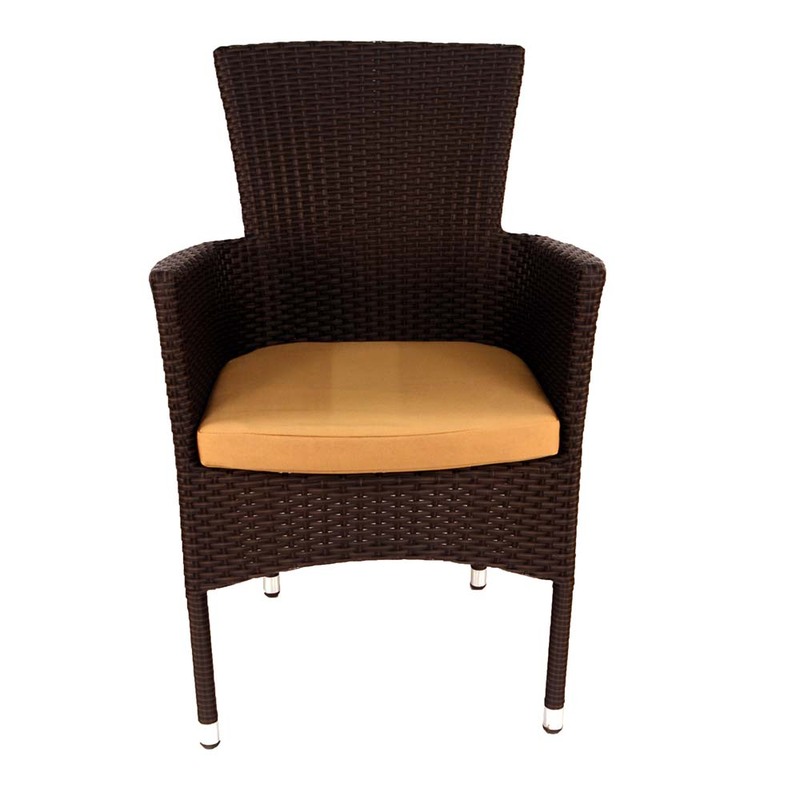 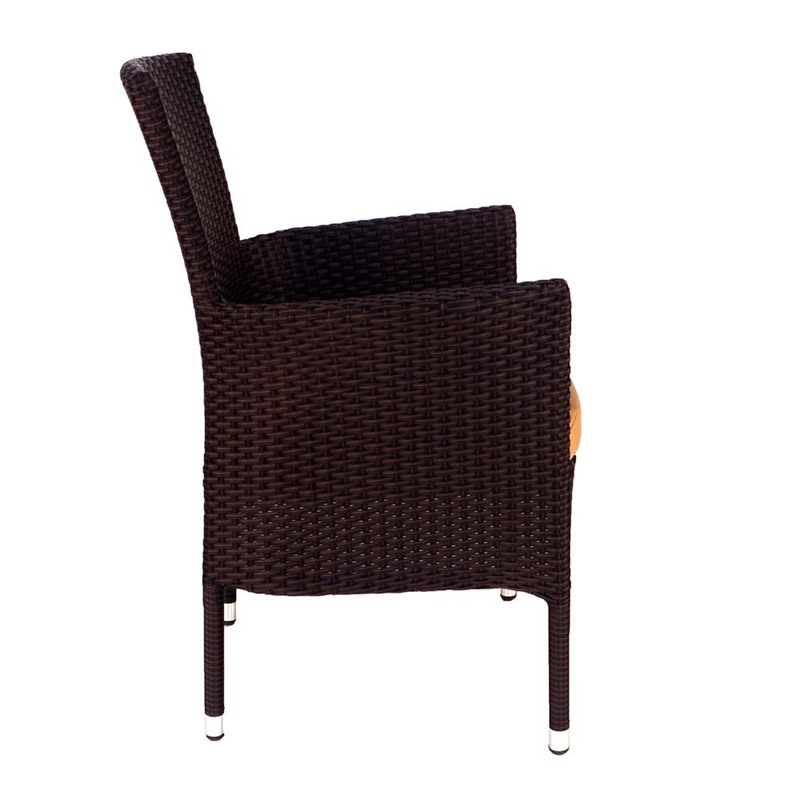 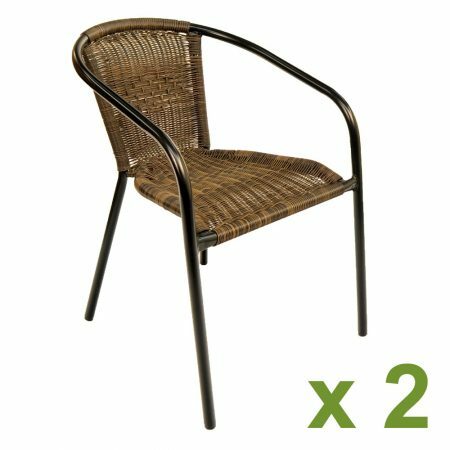 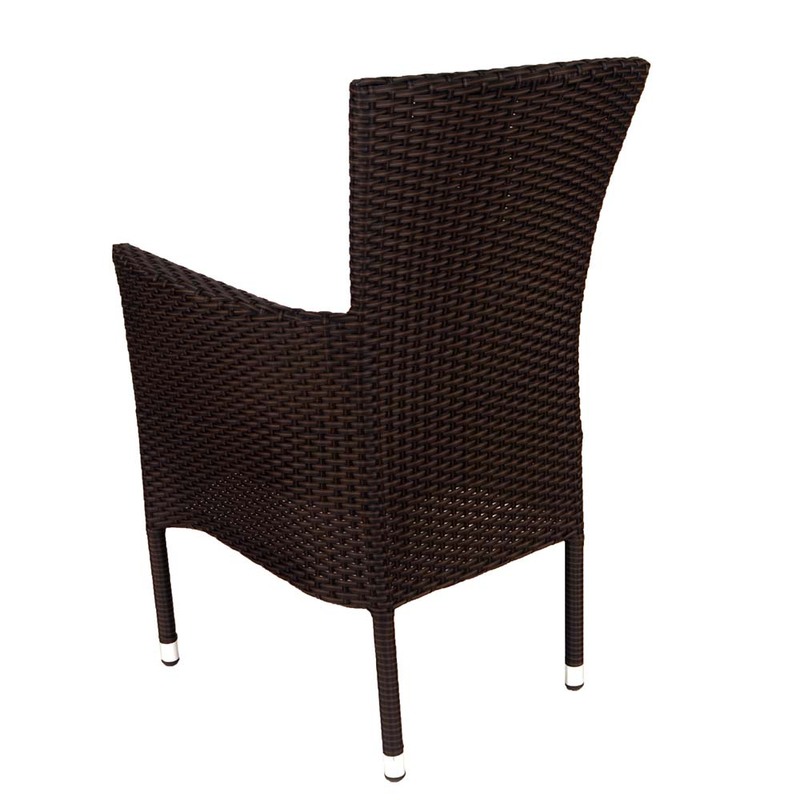 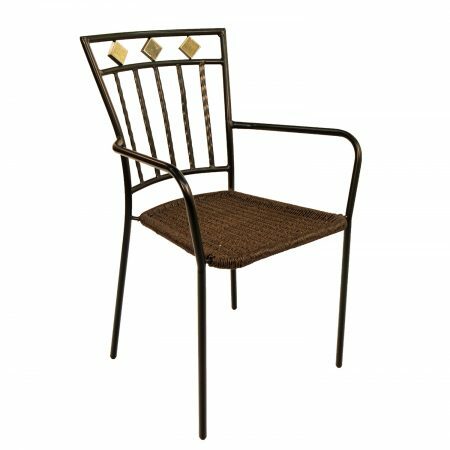 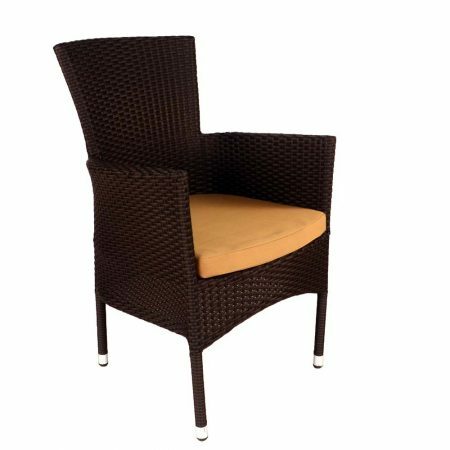 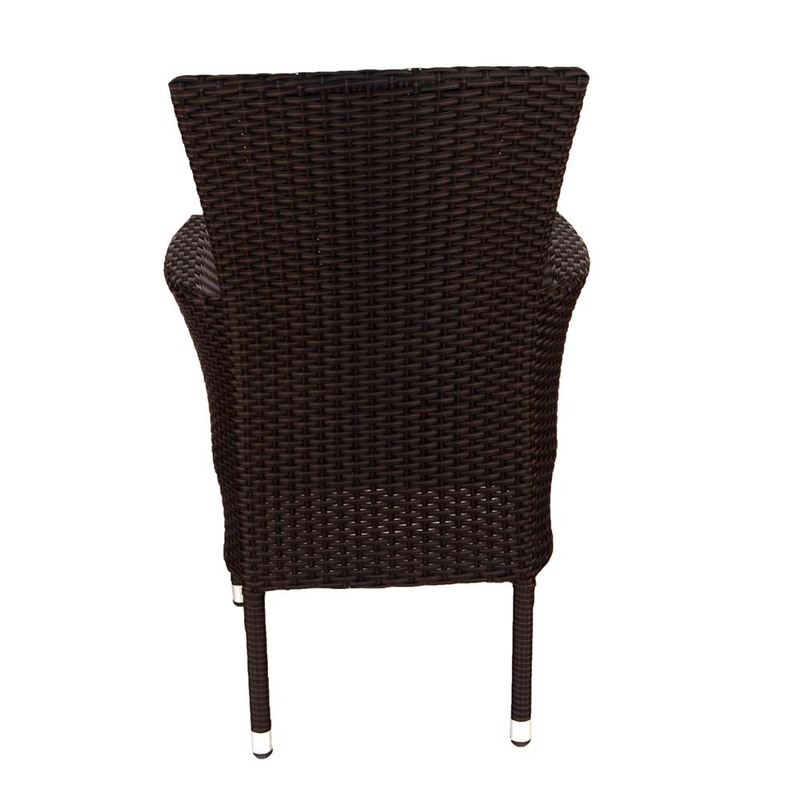 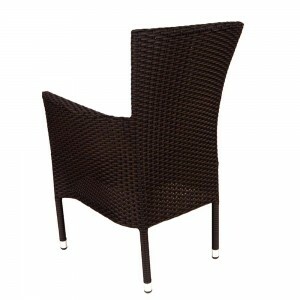 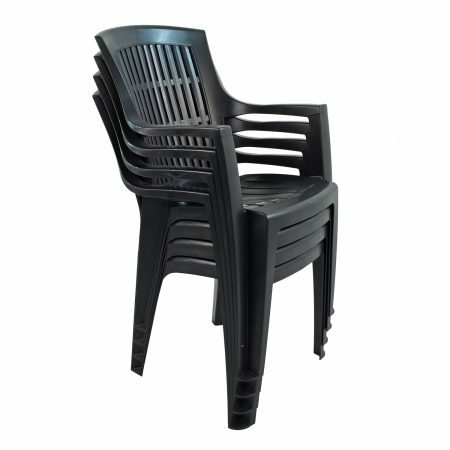 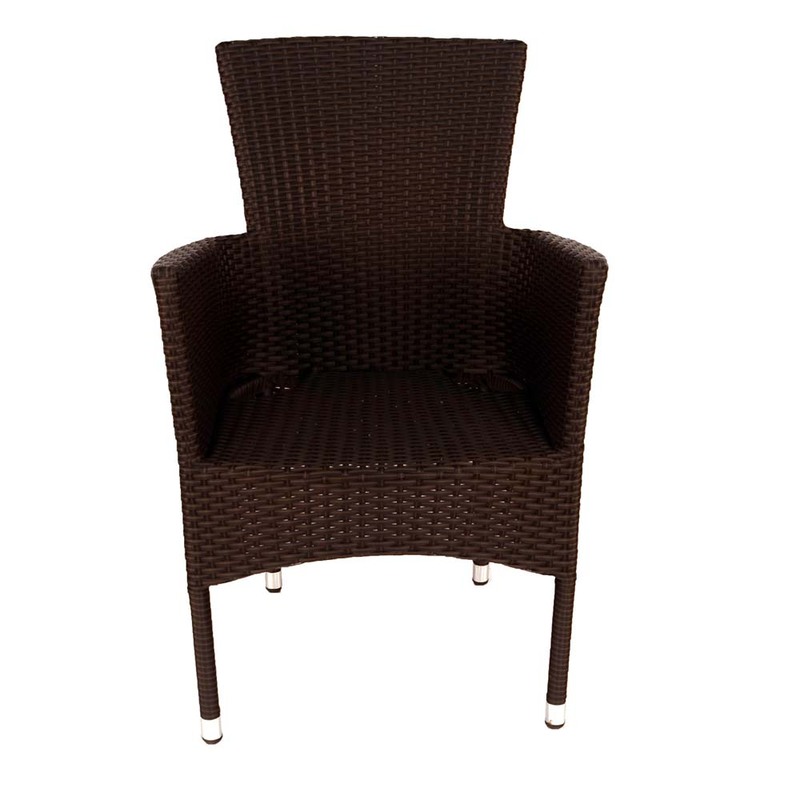 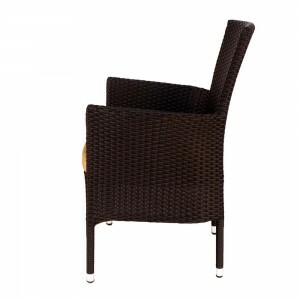 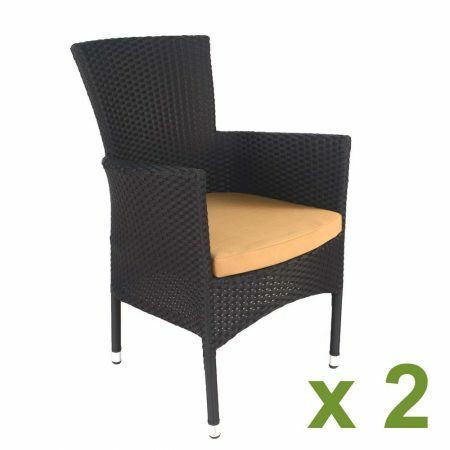 The Stockholm chair has a sturdy tubular aluminium frame woven with brown 4-strand resin weave wicker. It stacks neatly for storage, and is supplied with top quality 5cm. 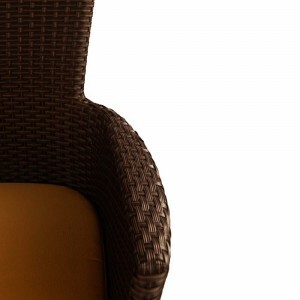 thick beige cushion.